Graphic design software are updated each year with change in technology. Hence, designers have to keep themselves also updated if they want to deliver top quality work to their customers. Graphic design software are used to customize images and other visuals. Software carry a number of features to make pictures attractive and communicable. Graphic design software can be either purchased or downloaded for free. There is not one, but many software for graphic design available in the market. Each one of them is competitive to the other. 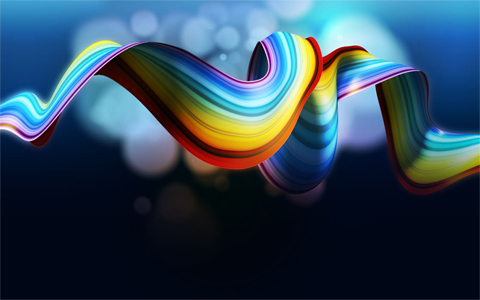 The graphic design software by Adobe is one of the most popular ones. However, there are many other brands that have established trust among the users. Where the software from Adobe has to be purchased, there are graphic design software that can be downloaded for free from the internet. These software are equally competitive and are ranked as one of the best by many review websites. Adobe Photoshop: graphic designers worldwide use this software to format pictures. It is definitely the most popular software. A number of tools and features of this software can be downloaded from the internet. In Design: it is one of the most professional software available. It is very easy to learn how to use the software and make fabulous designs. The latest version is highly addictive. Quark Express: it is the best for desktop publishing, making of layouts etc. It is extremely easy to relate content and pictures with the help of this software. There is a wide range of layouts that can be used to make the design all the more attractive and interesting. Corel Draw: if you want to be a skilled and professional designer, you should become proficient with the usage of this software. Although its usage is a little complex but it allows you to give an edge to your creations. A large number of programs are available to make illustrations look rich and extraordinary. Flash CS3: flash is largely used for the formation of high end websites, videos and gaming. If you want to give your pictures an amazing touch, you should use flash. Professionals tend to gain a lot of appreciation and creative satisfaction with the usage of this software. GIMP: this software is essentially meant for changing of the format of the image, for composition purposes, retouching and much more. It is free software and has gained a lot of popularity lately. Blender: this software is meant for 3D animations of pictures. It can be downloaded from the internet for free. The list of top class graphic design software is endless. Hence, it is for the designer to decide which software meets his/her requirements. The designer should identify with the audience before learning how to work with a particular kind of software. Also, a designer should keep on learning about the new techniques and tools that are introduced in software for the best results.